Once home buyers and sellers have negotiated their way to an offer and have a closing date on the books, you'd think they're totally in the clear, right? Well ... not necessarily. Even the smoothest housing transactions can face a third-act twist no one saw coming. Here are some common speedbumps that can slow down a home sale—and how to avoid them so you can finish right on time. 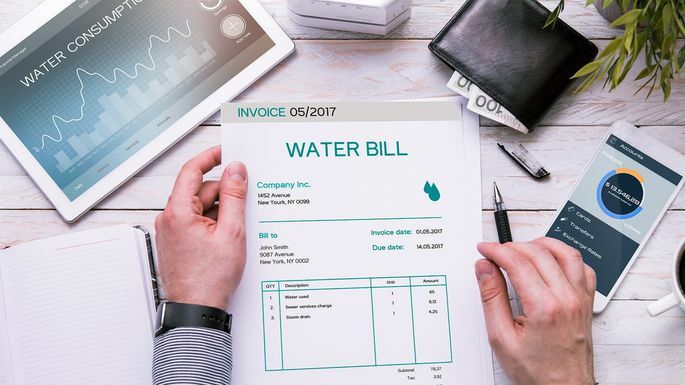 "In the hustle and bustle of moving out, many home sellers simply forget to pay their water bills," says Jeff Miller, co-founder of Maryland's AE Home Group. On top of that, some counties send out water bills on a quarterly basis, making it difficult to determine the final balance during a 30-day closing. And what may seem like a small blip can actually delay the title company from obtaining a clean lien certificate from the city, which in turn affects the ability for the title to pass hands. Allen Michael and his wife were a few days shy of closing on a two-story home that was given the thumbs up by a home inspector. "We pulled up to the house for the final walk-through," Michael recalls. "And our real estate agent was standing out front—his face was white as a ghost." The reason? Turns out a ton of rain fell during the month Michael was in escrow, which, in turn, had caused the two-story home to collapse on itself. "The entire upstairs ceiling had fallen and was on the downstairs floor," says Michael. Take-home lesson: Home sellers may be almost rid of the home, but make no mistake—any damage to a home prior to closing is their responsibility. As such, sellers should make sure that their home insurancecovers the home right on up until closing ... or else a torrential storm, falling tree, or other calamity could hit the home and their pocketbooks, hard. Meanwhile, buyers should get a thorough home inspection to make sure the house is in good shape—and also make sure that their home insurance kicks in the very day the home becomes theirs. You never know when accidents might happen! Real estate agent Jennifer Ace of New York's Re/Max Poconos was having a great day after listing her clients' property. "We received a full-price offer within 12 hours, accepted the offer, and then breezed through the home inspection." The problem? The home sellers had originally bought the house through an online foreclosure auction website that offered free title insurance so they could save a bit on closing costs. They took the bait—it was free, after all—but when it came time to sell, the new buyers hired a title insurance company that discovered two unsatisfied liens on the property. As a result, "we had to prepare a contract addendum extending the closing date while we waited to resolve the issue," says Ace. Take-home lesson: Sometimes, "free" services may not be up to snuff. With a home purchase, it's worth paying up for peace of mind that certain things get done right. Buying a house with a yard and driveway may seem straightforward. But if that home lacks an official document showing property boundaries, it can be a serious curveball when it comes to closing. "A client of ours put an offer in on a property, started the title work and paid for a survey," says Bobby Montagne, CEO of Walnut Street Finance, a real estate lender in the mid-Atlantic. The official survey showed that a driveway spanning half of the property for sale actually belonged to the homeowners next door. The original owners of both properties were related, had split a larger property years before, and shared the driveway and garage with no issues. But it was definitely an issue for this new buyer, who put on the brakes. Take-home lesson: If there are any potential boundary issues—for fences, driveways or otherwise—get a survey of the property done, sooner rather than later, to know where you stand. Getting the loan approved by the mortgage underwriter is often the last hurdle for a buyer. "It's also where the most problems arise," says Samuel Pawlitzki with Beach Cities Real Estate in Malibu, CA. For example, many buyers don't realize their credit is usually checked again right at the end of escrow. And if your credit has gone from good to mediocre—due to a large purchase or late payment, for instance—you could lose your mortgage. Take-home lesson: Buyers should take care to remain financially conservative, without any wild swings in their spending, throughout the entire escrow process—from mortgage pre-approval all the way until the home sale is finalized. Original Article published on realtor.com by Margaret Heidenry.